Very good fit for herbal tea drinkers that seek floral tones. 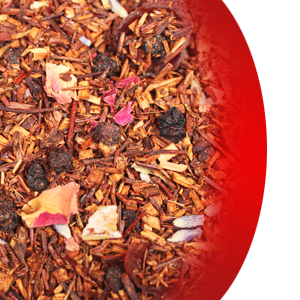 This fragrant rooibos features soothing lavender, roses, sweet raspberries and touch of carmel. Just like beautiful sunset, this blend will bring silent pleasure with every sip.